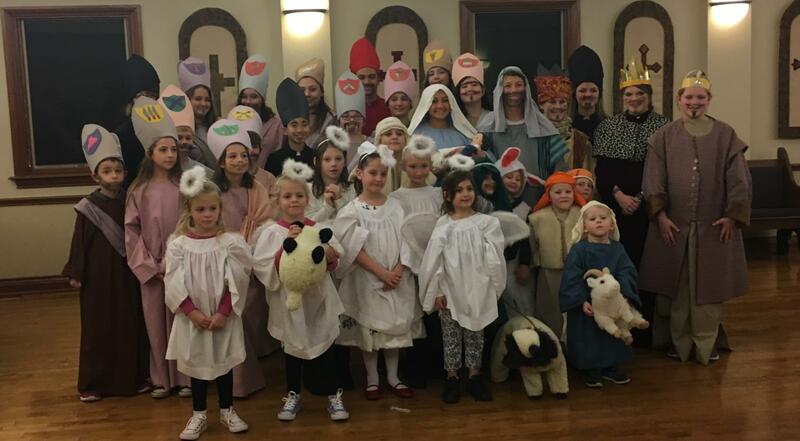 The 74th annual Epiphany and Party was held at Grace Church on January 6th. Fr. Thomas Moehle conceived the idea of having an Epiphany Pageant and Party after he arrived at Grace Episcopal Church in the 1940s. The first one was held on January 7, 1944. 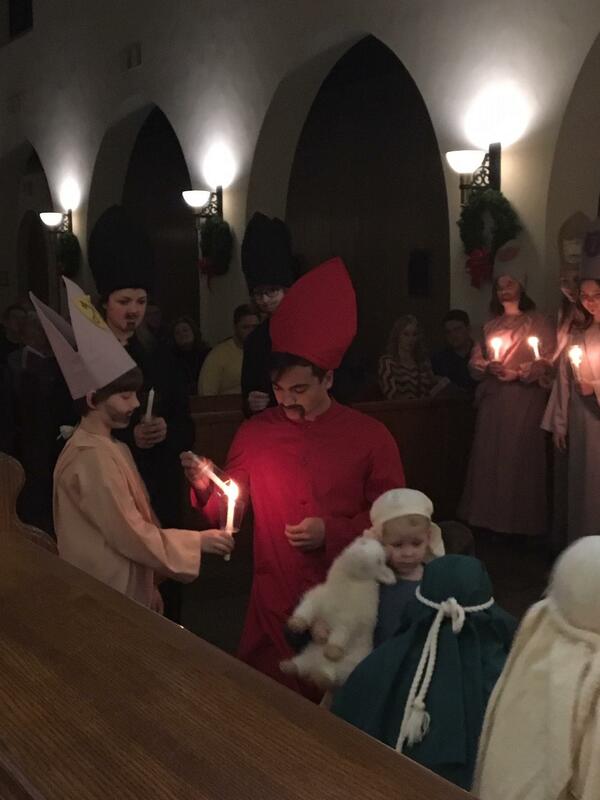 The scripted procession begins with the children portraying Mary and Joseph followed by shepherds, angels, wise men an apostles, all dressed in appropriate costumes. The participating children range in age from 2 to 18, and included Wesley our mascot dog, dressed in a sheep costume. Directors were Keri Bartley and Nga Wells. Christmas hymns are sung throughout the pageant. Riley Wells, Youth Director, was narrator. At the end, everyone, including the congregation, processes out into the world with lit candles, signifying the light of Christ. The group goes to the parish hall where the Epiphany cake awaits. 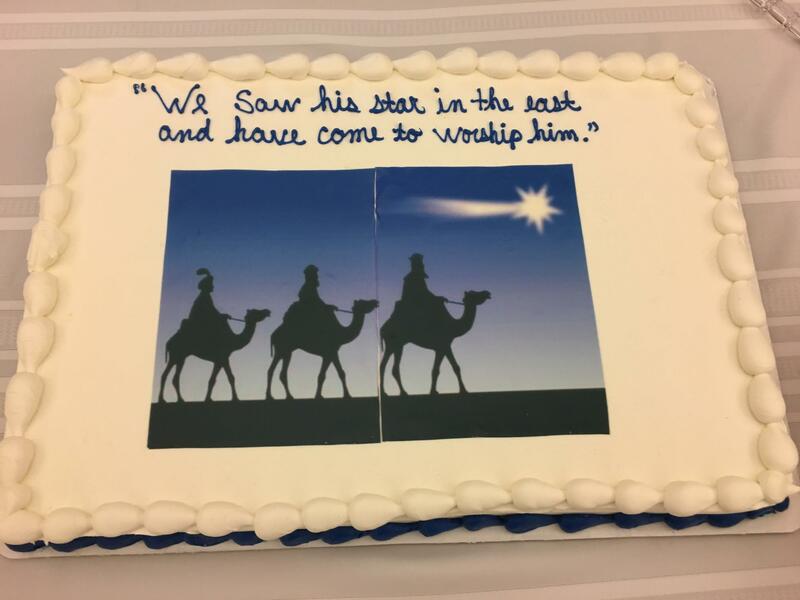 Inside the cake is a ring, and the person who gets the ring becomes the next King or Queen of Epiphany. Last year's queen, Katie Hines, crowned Judy Branch as the 2019 Queen of Epiphany.